For nearly the past three decades, the story of India has been one of uncertainty. Prime Minister Narendra Modi’s recent speech at the World Economic Forum plenary exemplifies this. On the one hand, his anti-protectionist stance and a declaration for a larger Indian role in the world was unanimously praised by the world of CEOs and strategic observers. But as is often said about corporates, when the cameras are off, they truly start cribbing about the difficulties of doing business in India. About four years ago, Narendra Modi’s election as India’s prime minister generated much optimism. There was a general feeling that India might finally have its own version of China’s Deng Xiaoping; a leader who could unleash the untapped economic potential of the world’s largest democracy, and in turn facilitate the rise of Asia’s second superpower. Nearly four years into his term, it looks like India changed him more than he could change India. The tale of India under Modi has been bittersweet. No Indian head of state has created as much intrigue on the global stage as Modi, since India’s first PM Jawaharlal Nehru. Since he first took office, Modi’s ambition has been to undo the Nehruvian republic that has underpinned the Indian polity since its independence. Three main features marked the Nehruvian republic: secularism, economic socialism, and non-alignment. In the past four years of his governance, Modi has succeeded in eroding the secular fabric of the state by allowing his party fringe to tamper with old communal fault lines. He has emphatically continued to march India away from a non-aligned foreign policy. But his performance has been the most underwhelming in shedding away the socialist legacies of the Indian republic. In this light, it is important to inspect what the current Bharatiya Janata Party (BJP) government has succeeded in doing, and more importantly, what has it failed to do and why. The BJP under Modi has achieved electoral dominance in Indian politics. In the 2014 election, the BJP managed to attain a majority in India’s lower house, the Lok Sabha; this was the first time a party achieved this feat in three decades. Since then, one state after the other has fallen under BJP’s rule. Currently, BJP rules 19 out of India’s 29 states – either directly or via a coalition government. This is no minor feat. Over the last three decades, Indian politics had been marked by coalition governments. Before Modi took charge of the BJP in 2013, the highest seat share his party had succeeded in achieving at Lok Sabha was 182 in a 545 member parliament. BJP currently holds 284 seats at the Lok Sabha. Under Modi, India’s political landscape has been fundamentally overhauled. Over the past four years, Indian politics has started to resemble the single-party rule observed during the first four decades post-independence. The current government should be credited for a number of necessary, if arbitrarily implemented reforms. Over the past four years, with shrinking fiscal deficit and successful inflation-targeting, India has seen strong macroeconomic stability. A country infamous for its protectionist trade regime has facilitated a near wholesale FDI liberalization. A national market, which was originally fragmented due to provincial tax codes, has been unified under a single Goods and Service Tax. One of the major bottlenecks for the Indian economy has been its poor infrastructure. The current government needs to be credited for a massive increase in infrastructure spending. The Bankruptcy Code is a major reform, as it would finally put into place stringent exit regulations. It has been evident that Modi preferes undertaking “large scale bureaucrats driven projects” over classic market-based reform policies. Starting from a very low base, this government has succeeded in facilitating large-scale financial inclusion. Over the past three years, the government has undertaken a massive drive to provide every Indian with a “Unique Identity Number.” Relatedly, there are reforms underway in the public distribution system, which link citizens Unique Identity Number to their newly-opened bank accounts, creating a mechanism for direct cash transfer of subsidies. This could potentially reduce leakages and rationalize subsidies. Despite these successes, the reform process in India remains grossly incomplete, and has had little impact on GDP growth. The old socialist legacies are still alive and the Indian government continues to run scores of loss making businesses. There are several reasons for the sluggish reform process in India. The implemented reforms are largely arbitrary. Modi has failed to develop an overarching strategic reform agenda with clearly defined goals and means. Consequently, multiple important ministries in India continue to work at a sluggish pace, or at worse, have no clear goal that they set out to achieve. More importantly, as argued by economic commentator, T.N. Ninan, there is a cost to Modi’s preference of big-projects over classic market-centric reforms. Most of Indian workers are employed in the informal and unorganized sectors. Ninan argues that the underlying goal of all the aforementioned projects undertaken by this government is to turn India into a more transparent economy that facilitates more job growth in the formal and organized sector. This is unlikely, and Ninan suggests that most of Indian workers will continue to be employed by the informal and unorganized sectors for foreseeable future. This means that much like the present, Modi’s project driven reform agenda is unlikely to yield substantial economic growth even in the future. The need for transparency in a developing economy arises at a certain developmental stage; unfortunately, India is no where close to that right now. Some of the major challenges impeding India’s development are the country’s under-capacity, bureaucratized institutions, and an extremely complex regulatory setup. Even in 2018, starting a business in India requires a bizarre number of permits. According to a World Bank 2018 report, India ranks a dismal 164th in enforcing contracts. The Indian judiciary is grossly understaffed – even the Indian Supreme Court has a bizarre number of piling cases. According to the World Justice Project, India ranks 62nd on the Global Rule of Law Index. Almost all Indian bureaucratic services are extremely understaffed. As a result, they end up being extremely bureaucratized, facilitating red tape and corruption. This has grave ramifications for the delivery of basic public goods in India. The current government’s biggest failure lies in the lack of administrative reforms. Without undertaking some of the vital administrative reforms, it would be impossible to unleash the full potential of the Indian economy. Another structural problem holding the BJP back from initiating more wholesome reforms is its parent organization, Rashtriya Swayamsevak Sangh (RSS). The core ideological basis underpinning the RSS is revisionist Hindu nationalism – the idea of turning India away from a secular polity to a religious hindu-republic. But many important sections of the organizations also believe in economic nationalism. The RSS is not just an ideological parent to the BJP, it plays a major role in helping the party win elections. The RSS is responsible for mobilizing huge volunteer forces that aid the BJP during electoral campaigns. The economic nationalists are a sizeable faction within the broader Hindu nationalist support base of the BJP. The need to keep this support base alive severely constraints the BJP’s economic reform agenda. Lastly, there is another aspect holding back BJP’s reform spirits, which I will label the “Delhi Syndrome.” Delhi has been a capital city for centuries now. The culture and norms governing Delhi’s politicians and bureaucrats are built over decades are hard to change in a short span of time. As aforementioned, in post independence Indian history, one of the core aspects of the Nehruvian republic was economic socialism. The legacy of this Nehruvian socialism creates a strong affinity for “economic statism” among Delhi based politicians and bureaucrats. Even after nearly four years of Modi’s rule, the statist mindset within the governing class continues to exist. Unfortunately, even a self claimed economic reformer such as Modi is not left unaffected by the legacy of Nehruvian socialism. When in crisis, Modi has used economic socialist policies to gain populist support. Foreign Policy: Ambition vs Capacity? 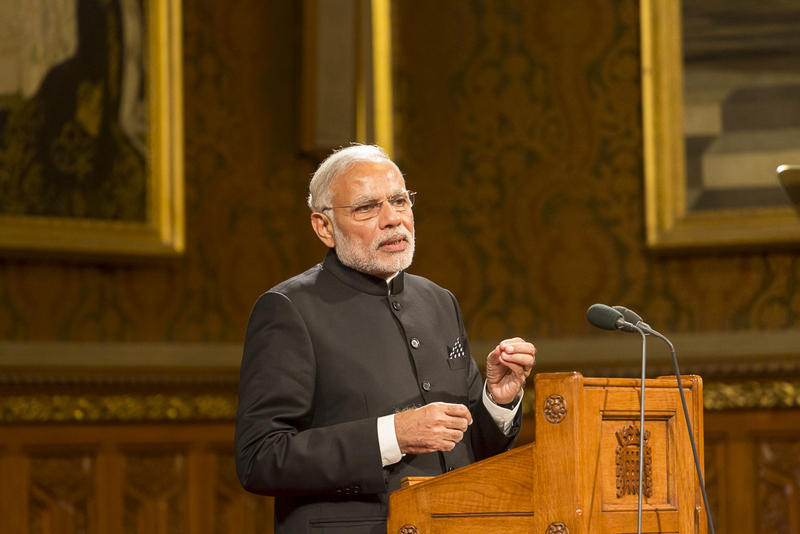 On the foreign policy side, Modi can boast about more successes than his economic policies. Under Modi, India has developed stronger diplomatic, political and defense relationships with the US, Japan and the ASEAN states. Moving forward, these three relationships will be crucial to India’s ability to contain China’s regional dominance . More substantively, integrating India into three out of the four global nuclear regimes is an important accomplishment. Relaunching the Asia Quadrilateral as a means of soft-balancing against China is another major breakthrough. Under Modi, India has succeeded in achieving a place at the global high table on issues such as security and nuclear proliferation. Unfortunately, the actors setting the global economic rules continue to ignore India. And here lies India’s biggest foreign policy challenge. As the history of global power politics demonstrates, political influence at the international level is very closely related to a state’s economic heft. In other words, the richer the state domestically, the more power they hold internationally. And that’s where India’s future prospects continue to seem unclear. The international systemic polarity is shifting away from unipolarity, and the global institutional architecture continues to weaken. Ideally, a rising Asian power such as India should be in a position to provide an alternative institutional framework. While China is using economic statecraft and gradual military expansion to rewrite the rules of the Asian order, India, at best, continues to resist change. India in 2018 continues to be a grossly low-income state. India’s per capita income by 2016 figures was $1861. Its ability to spend material resources abroad is limited. Unlike China, India has an abysmal reputation in terms of implementing the projects it promises to undertake. India’s diplomatic corps is no larger than that of Singapore, a country less than half its size. Underneath the shiny rhetoric coming out of Delhi, is the real unfortunate reality. India is not ready yet to play the global role it so aspires to. India has four clear foreign policy and national security objectives. First, align with big and small states in Asia, in order to restrict China from rewriting the Asian order in a way that does not reflect Indian interests. Second, to reduce its military power differential vis-à-vis China. Third, to facilitate connectivity projects and help integrate its immediate neighbourhood, South Asia. And lastly, to reorient its military from a continental to maritime one, which would allow India to establish naval dominance over the Indian Ocean. All four of these objectives require robust domestic economic growth that would provide the Indian government with the necessary material resources required to fulfil these objectives. Modi is India’s most skilled and ambitious Prime Minister in decades. His personal ambition is to exceed Nehru, and be remembered by the world as India’s greatest PM. He has to acknowledge that the key to unleashing a broader global role for India requires massive domestic disruption. Unfortunately, without a substantial domestic overhaul, India will continue to remain a bittersweet story.